Based in the riotous headquarters of the secret society that ran Victorian London, The Escapologist is styled as part ‘modern day Victorian men’s club’ and ‘part Masonic lodge’. Partying like it’s 1899 seven days a week, the focus is on memorable times with great drinks in an outrageous space. Located in the Seven Dials area of Covent Garden, The Escapologist cocktail bar offers twisted classic cocktails and a menu of high-quality pizzas. 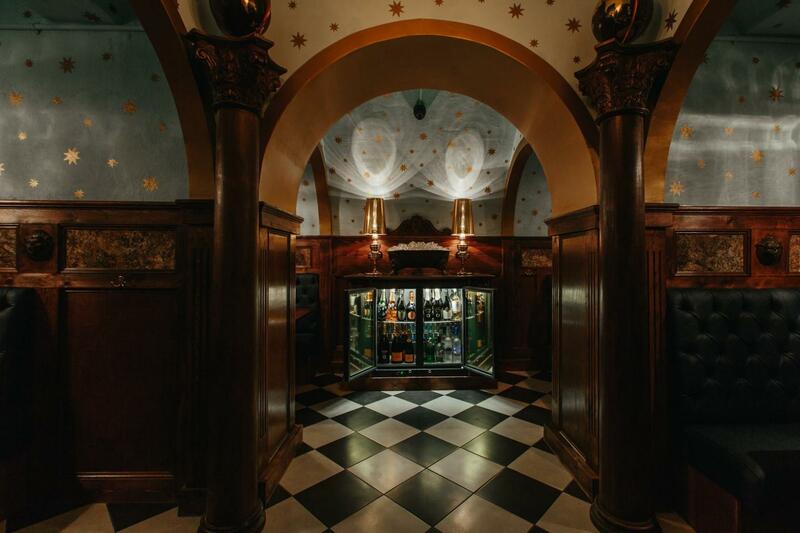 Enter through a secret doorway and you will find yourself transported to the modern day masonic world. With detailed features from the starlit sky to the carved pillars, the Grand Hall is perfectly designed for corporate functions and celebrations. For the full VIP feel and service, then check out The Vault. 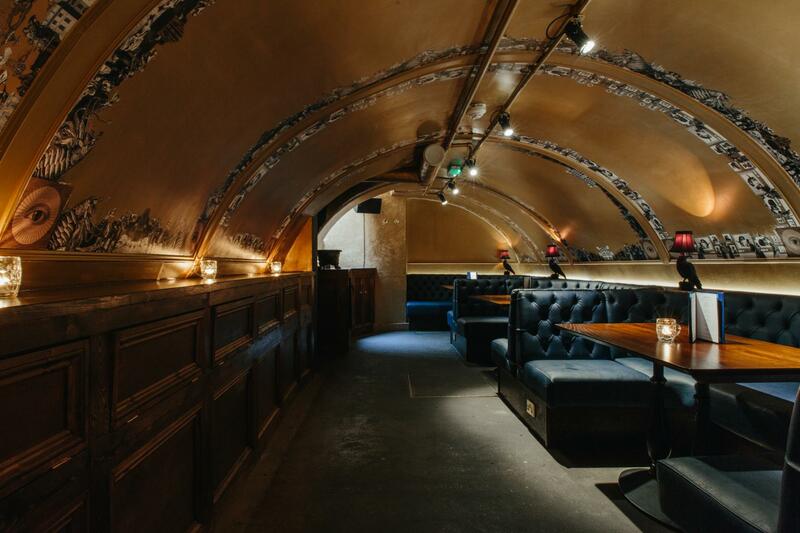 Situated the far side of the venue and down a few steps, you enter our underground vault with beautiful royal blue booths against a back drop of luxurious gold, this VIP area is perfect for parties that have something to celebrate.